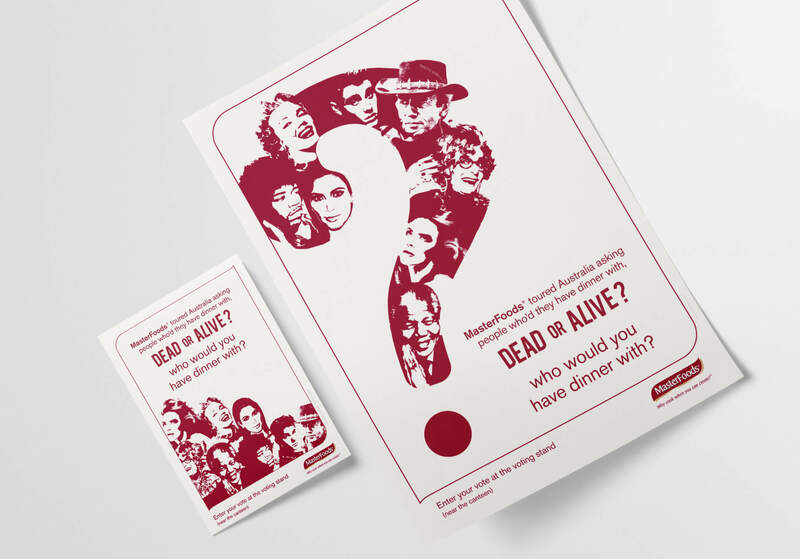 We produced a teaser campaign that asked the question: ‘Who would you have dinner with, DEAD or ALIVE?’ We gave a selection of eight identities – past or present – ranging from Australian to International celebrities as well as inspirational icons. 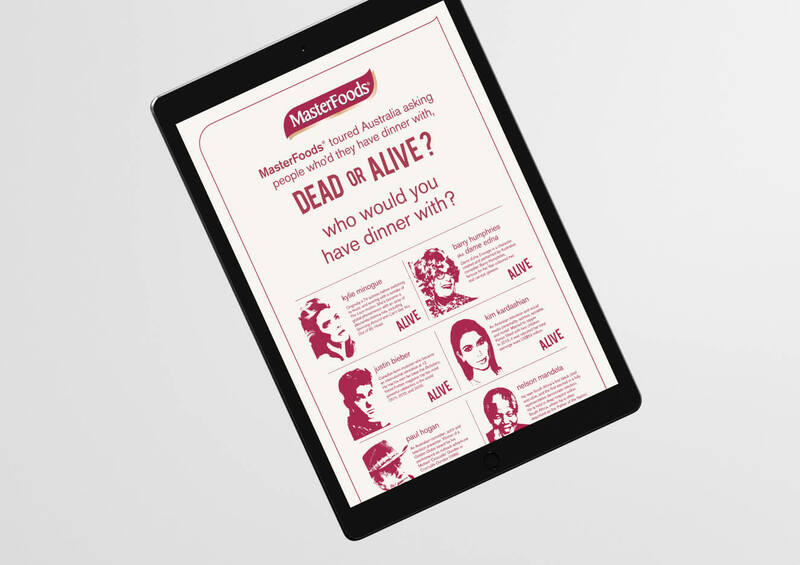 The MasterFoods® brand believes that who you eat with is just as important as what’s on your plate. 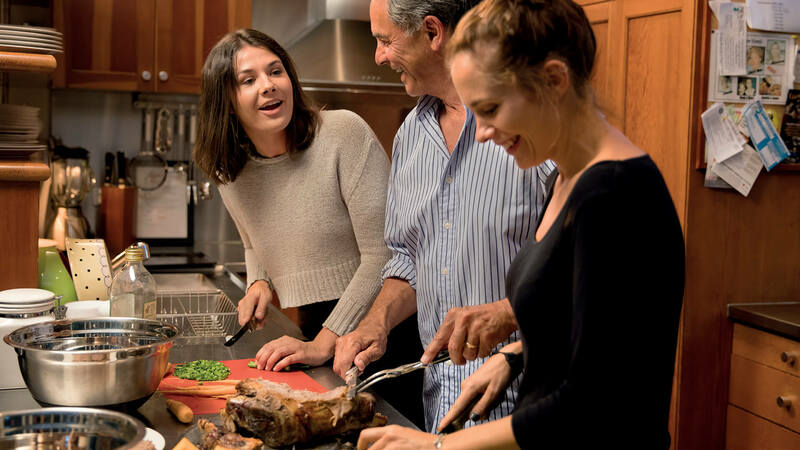 Whether it’s with family or friends, sharing a meal with others provides an opportunity to take time out of your busy day to connect with the people around you. 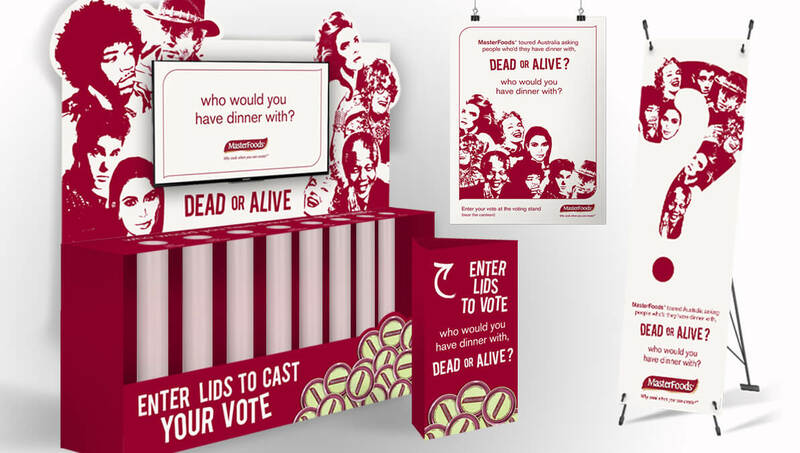 Alongside the voting booth, we also produced TV screens, TV trailers, walkway banners, electronic marketing (EDM), posters and flyers for the whole campaign to feature onsite in the Mars Australia head office. To keep our new brand consistency throughout both teaser campaign and official campaign, we adhered to the strict brand-guidelines compiled for the launch and sourced approval from the brand-manager (originator) and liaised with external agencies to ensure correct brand-usage (ie. dictation of font usage, colour usage, photography usage, key positioning and social media hashtag usage #MakeDinnertimeMatter). 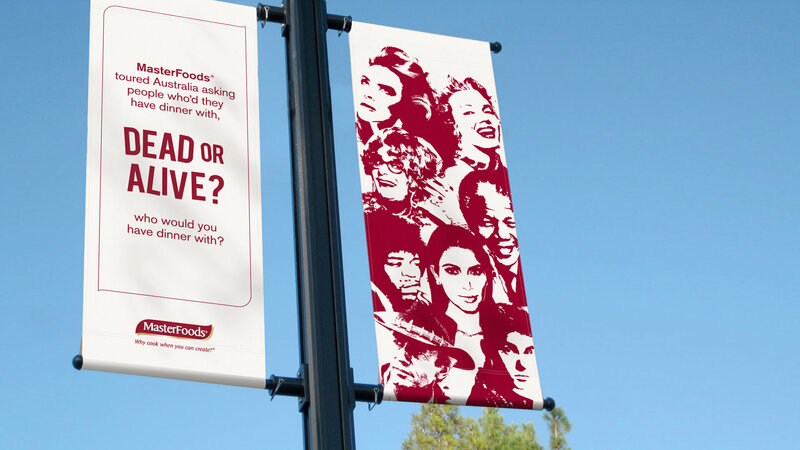 Header image - curtesy of MasterFoods. 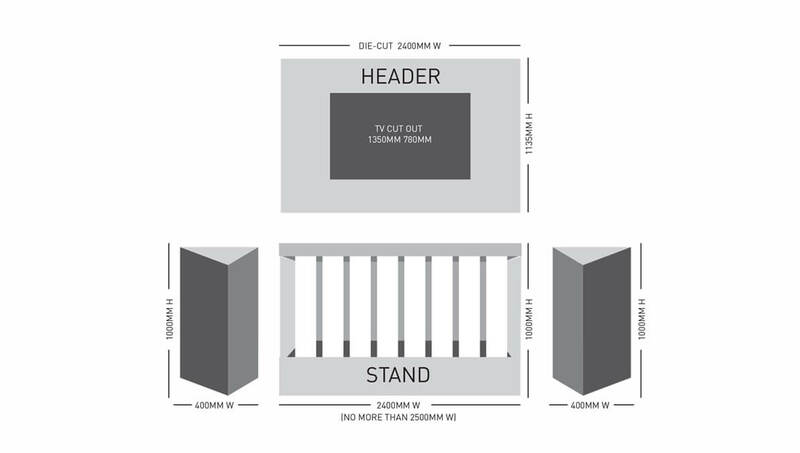 "Erection of large custom designed structure, which Bolder managed effectively through their business to business relationships. The build was completed on time and complied with internal OH&S considerations."